Several types of incentives can help you go solar. This section covers the solar incentives available in the Maryland, but you can learn more about the national context of solar incentives on our national solar incentives page. Maryland SREC (Solar Renewable Energy Credits) values have varied over the last few years. Overall values have been steadily decreasing since 2015 due to an increase in solar installation leading to an oversaturated SREC market. The state has worked to keep aggressive SREC standards, and the Renewable Portfolio Standards (RPS) may be revised in the near future. Without a revised and aggressive solar-specific mandate within the RPS, the market should bottom out around 2020. You can find the most up-to-date SREC market prices at SRECTrade.com. Maryland does not have legislation that allows for residential Property Assessed Clean Energy (PACE) programs. However, commercial PACE is available. MD PACE, a statewide partnership between PACE Financial Servicing and the Maryland Clean Energy Center. Counties are also implementing PACE financing options. 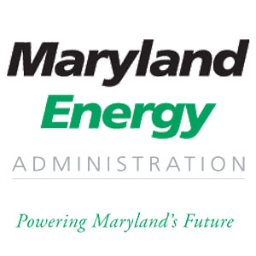 The Maryland Energy Administration offers Maryland Clean Energy Grants for both residential and commercial projects. Residential grants of $1,000/project (taxable) are awarded on a first come first served basis for primary residences that are not located in a historic district. The amount granted is subject to change. Commercial grants are sized by the kilowatt. Several Maryland counties offer property tax credits as well. The funding for these property tax credits is often over-subscribed with backlogs of several years. Check with your county for specifics on funding availability. Counties with property tax credits include Prince George’s, Baltimore County, Harford, and Anne Arundel.